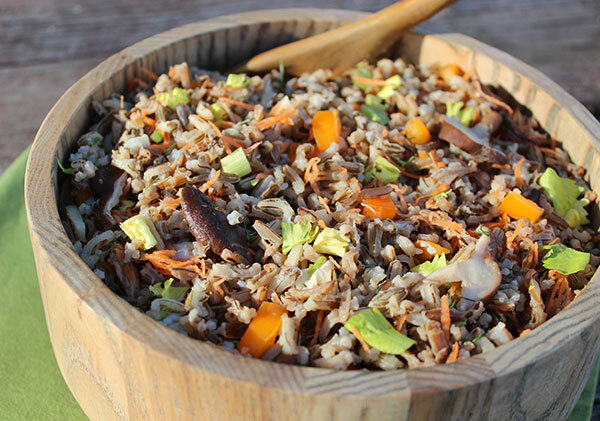 A savory homemade wild rice recipe provides a warm and hardy cooked meal in the cold months of winter. Whether relished by itself or mixed with other types of rice or gluten-free varieties, like quinoa or millet, it can be a robust and hardy as well as flavorful grain alternative. 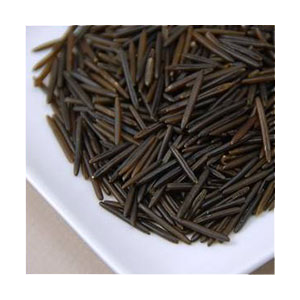 Wild rice has a chewy fibrous texture compared to other rice variations. Being higher in protein content and lower in fat and starch, the grains are loose and not as sticky as white or brown rice. 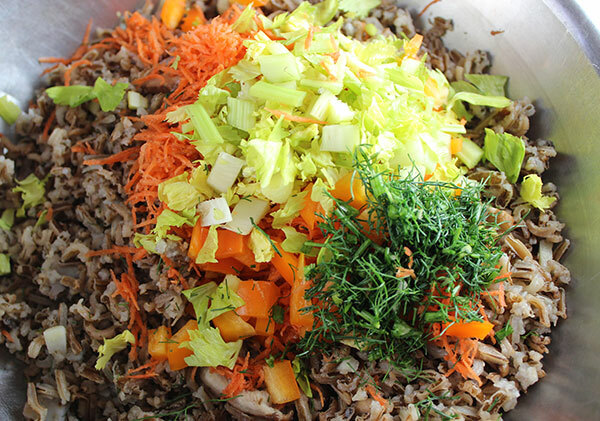 Used a staple grain selection, wild rice can add diversity and keep ones diet varied and interesting. The cooked grain, being lower in carbs, doesn't have a tendency to make you feel tired after a meal like high calorie grain varieties and can be a healthier choice for those looking to loose unwanted body weight. 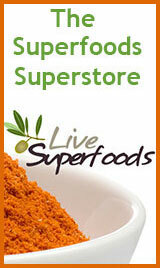 It is not a complete protein source because it does not contain adequate amounts of all essential amino acids. The USDA reported in a nutritional review that it does contain "more lysine and methionine than most common cereals" and is a good source of B vitamins like thiamine, riboflavin and niacin. Wild rice seed itself is actually a type of aquatic marsh grass that comes from the genus Zizania, a distant cousin to the common rice we know today from the genus Oryza. 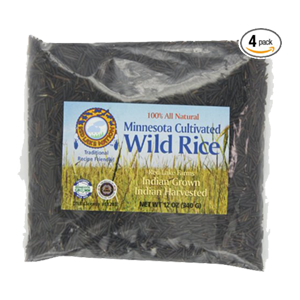 True wild rice is native to North America, especially the upper Great Lakes region of the U.S. and Canada and was a traditionally harvested food of many Native American Anishinaabe people indigenous to these regions. 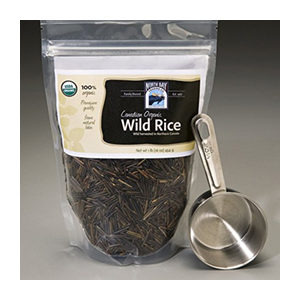 There are basically three different types of wild rice that most people are familiar with. Although they are all referred to as "wild", only one can be considered a truly wild grain. 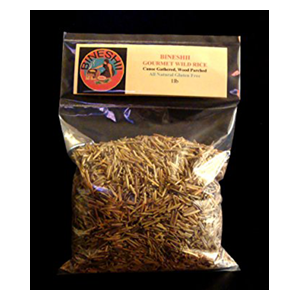 1) Natural Wild Rice - This is true wild rice that is harvested from naturally growing aquatic grass fields in slow moving streams, lakes and wetland locations. 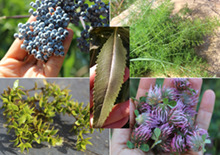 Real wild rice usually employs traditional Native American wildcrafting techniques and processing. It takes less time to cook than other types and develops a soft tender grain. It normally has different color variations ranging from light to dark brown, with a speckled appearance. 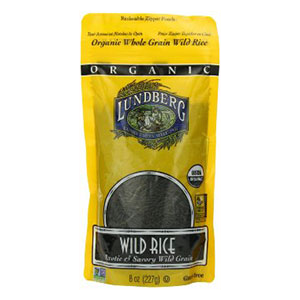 2) Cultivated Wild Rice - This is the commercially cultivated variety found in most grocery stores. Grown as a "paddy rice", this type is more uniform in appearance and has been hybridized to eliminate some of the more difficult growing properties of the wild species. It is typically a chewier rice that takes longer to cook than natural varieties. It generally has a more uniform dark brown to black color due to different processing methods. 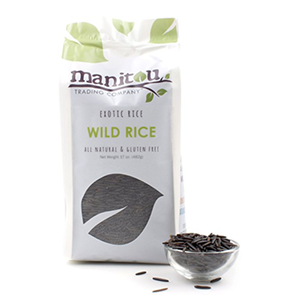 3) Mixed Wild Rice - This is a mix of different types of rice, which usually includes some cultivated wild variations. While both wild and commercially grown rice are nutritious whole foods to consume, many believe that wild growing varieties are a more nutrient-rich and vigorous species, produced as nature intended. 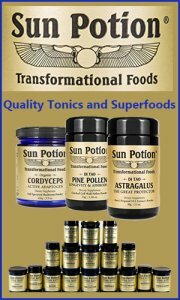 This is often the case with other wildcrafted edible foods like mushrooms, fruits, herbs and greens. 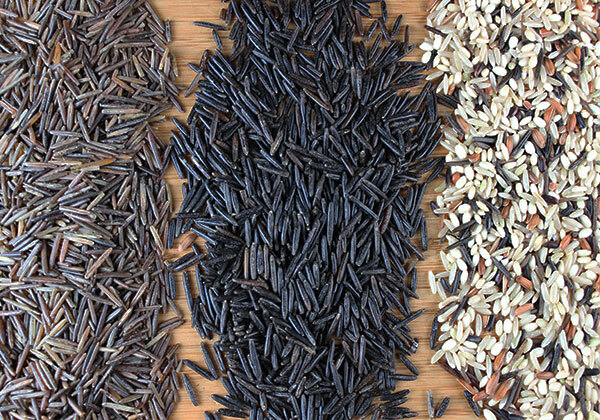 For more about wild rice and its nutritional benefits, visit our wild rice page in the links at the bottom of this page. Cultivated rice takes a lot longer to cook than natural wild rice and also requires less water. You can make both types as you would any kind of rice, in a pot or rice cooker, or you can follow traditional cooking methods. It is generally a good practice to thoroughly rinse the rice before use. The grains can also be soaked for a period of time in water, strained and cooked using half the amount of required water. 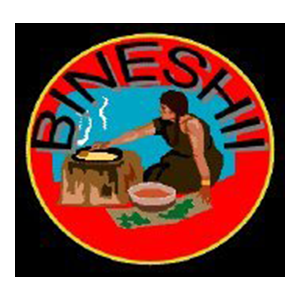 Cook in a pot with a lid on low flame until soft and tender, usually 1 ½ hours for a well-cooked grain. Simmer in a pot with a lid until water is gone and rice is soft and tender. Usually 50 minutes to 1 hour total cooking time. Natural wild rice is often simmered like pasta, using an excess amount of water and slowing boiling it until desire texture is achieved. The remaining water is then strained off. Add 1C grain to 6-8C of boiling water. Cook on low flame until soft and tender. For chewier rice boil for 20-25 minutes and for softer rice simmer for 50 minutes. Strain rice in a mesh strainer. The term "rice bowl" is often used to describe a quick and easy meal that basically consists of a bowl of steamed rice with veggies and other toppings of choice. Rice bowls can be a simple dinner-for-one solution after a long day and served with most any kind of fat, protein or vegetable combination. They not only give you the opportunity to clean out your refrigerator, they also afford a healthy fast food when your short on time and energy. 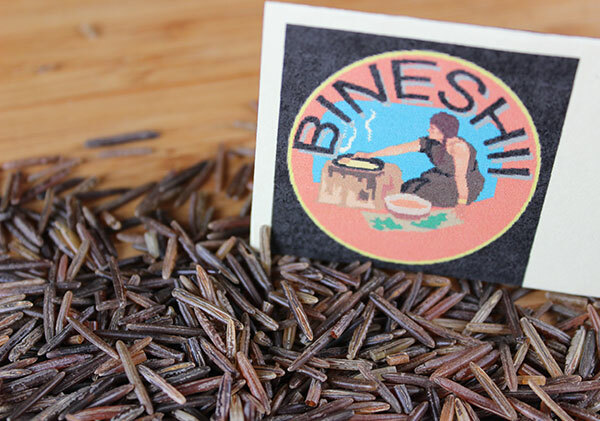 Although wild rice is commonly cooked with other grains, it can be quite a delicious variety served all on its own, offering versatility as a cooked grain alternative to both white or brown rice typically eaten with rice bowl meals. 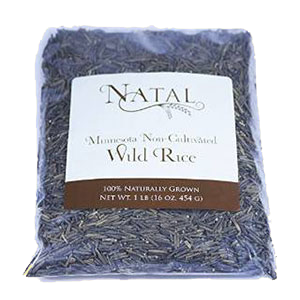 This is one of our favorites, blending both the nutty taste that wild rice is known for together with some basic cooked and raw ingredients. Steamed with shiitake mushrooms as well as celery root and seed, this makes a very simple yet savory meal eaten immediately after the cooking process or blended in the recipe below with the shuttle flavors of fennel leaf, celery hearts, carrot, bell pepper, miso and olive oil. 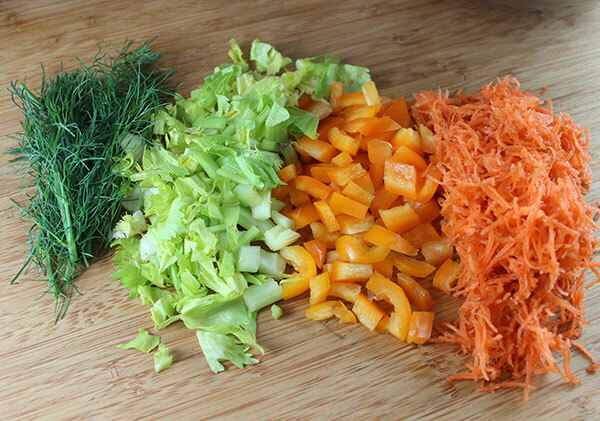 As with many of our cooked vegan foods, we often try to include raw veggies and/or fermented foods to increase enzyme content. 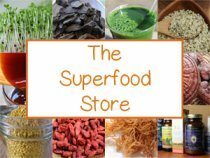 Enzyme-rich foods can dramatically help to increase the digestive process, allowing for greater assimilation of the foods we eat and their conversion into usable nutrients. Whether you are searching for a vegan pilaf "rice bowl" replacement or just need a side dish to go with a main entree, this recipe works well for both purposes. It can alternatively be enjoyed at room temperature in wraps, nori rolls or dolmas. 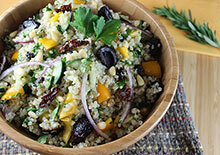 It also goes well as a replacement grain in our quinoa salad. 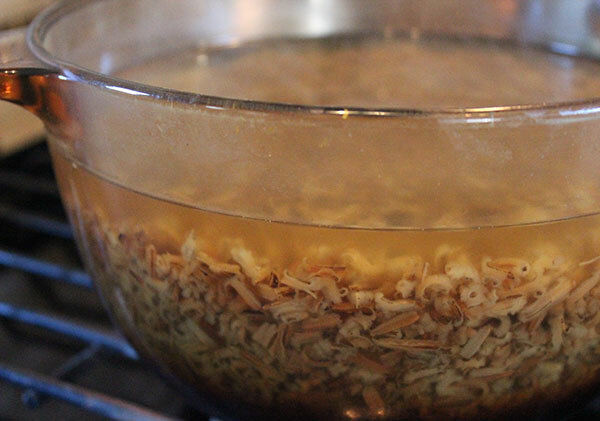 Rinse one cup wild rice grain thoroughly in pure water. Add to a pot or rice cooker with water, shiitake, celery root and seeds. Allow to cool with the lid on for 15 minutes. Toss with miso and olive oil. Enjoy in your favorite bowl. 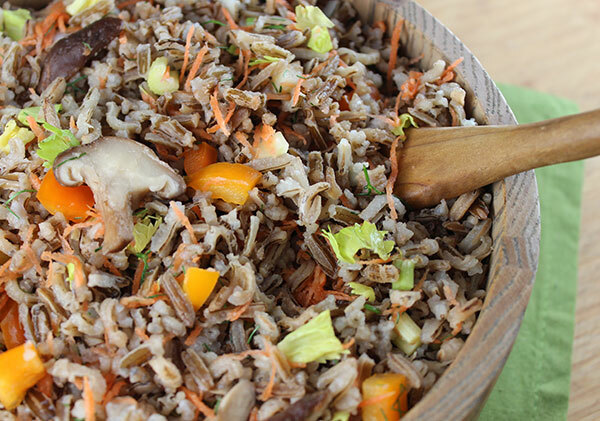 This wild rice recipe can be mixed with quinoa or millet grain and tossed with other oils like melted coconut oil or red palm oil. Although both natural and cultivated wild rice grains are not considered a raw food, many following a high raw vegan diet commonly "bloom" the rice, as opposed to cook it, by soaking it in twice as much water for 1-3 days. This splits open the kernels exposing the tender light colored center, making it easier to eat in its uncooked state. While this creates a fluffy texture similar to the cooked grain, we believe the rice is much tastier and easier to digest when lightly steamed like other types of rice. 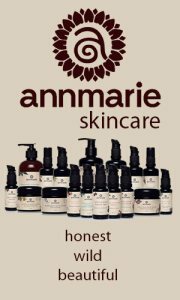 Also, since wild rice is not completely raw to begin with, as it is generally parched to an average temperature of 210°F (98°C), blooming it does not preserve enzyme content. Some people, however, prefer it soaked as opposed to heated. One argument in favor of blooming rice in contrast to steaming it, is that uncooked grains are known to contain higher amounts of protein and when cooked are reduced to about half the amount. Whether or not the proteins in soaked rice are fully digestible, however, is still up for debate. It can be of benefit to eat, fermented foods, like sauerkraut, when eating rice using this method to increase digestibility.